It is easy under Windows 10 to change the security and maintenance settings and adjust them if necessary! To open the Security or Maintenance Center ning / release instruction is written for Windows 10 to adjust security and maintenance as needed, and sometimes it is necessary to change the security and maintenance options, whether on the new Windows 10 desktop , Tablet, as well as on Surface Pro / Go operating system. PS: If it ask for the device drivers maintenance: ► Driver update over the device manager! 1.) ... Opening the safety and maintenance settings! 2.) ... Why adjust the safety and maintenance settings! See also: ► Windows 10 Defender Help is disabled, what can I do? 1.) Opening the safety and maintenance settings! Please start the "Security and Maintenance" via ► Windows 10 Control Panel.If the system control is not switched to classic, just press the [F3] key in the control panel and enter "maintenance". Now you can view and adjust the security and maintenance settings under Windows 10! (Image-1) Security and Maintenance settings under Windows 10! 2.) Why adjust the safety and maintenance settings! In the Security and Maintenance Center, the center is for displaying alerts and adjusting the actions that should be taken to allow for proper work on Windows. The Control Center is also responsible for notifying you at security certain problems or security settings require your attention or interference. 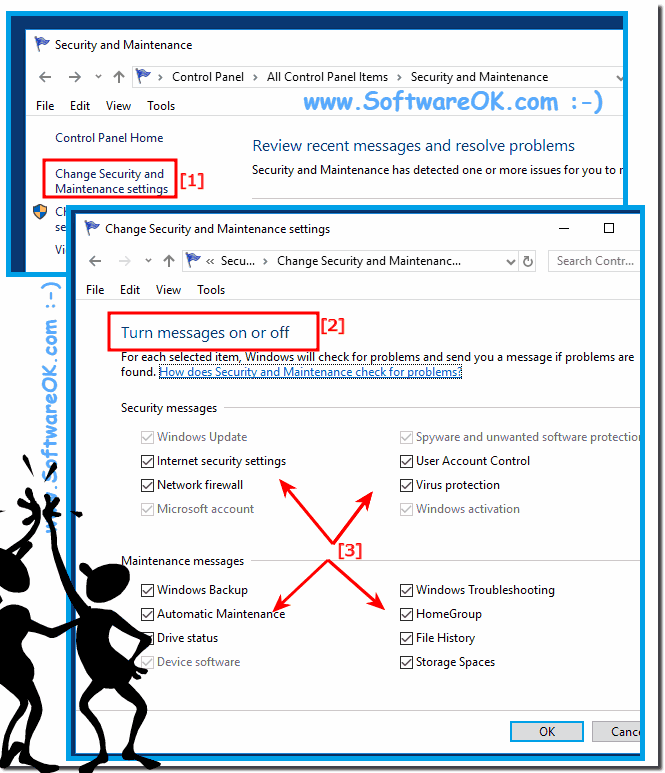 (Image-2) Security and Maintenance Messages under Windows 10! The Windows 10 Maintenance Center lists important safety, maintenance, and maintenance messages that may require attention. The red marked elements are marked Important. These can be important issues, such as using a non-current antivirus program. 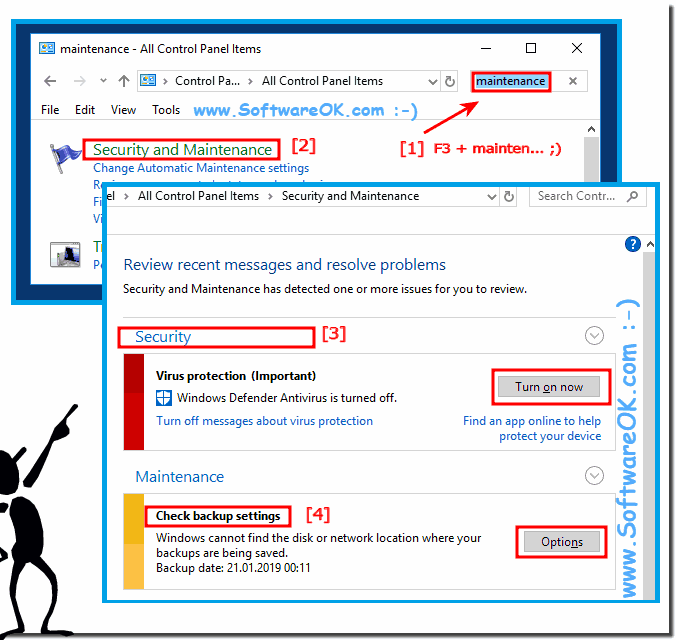 Windows-10 - FAQ-240: Security and Maintenance Change settings under Windows 10? Under Windows 10, enable and disable the device search, but how to?